Your home’s heating and cooling unit may be a silent support system, but when it comes to your energy bill, its presence is as loud as can be. How loud? According to the Alliance to Save Energy, the average household energy expense is about $2,200 per year, and nearly half that amount can be tied directly to costs associated with heating and/or cooling your home. That’s pretty loud. The costs associated with controlling the temperature in your home are significant, and if your HVAC system isn't running efficiency, then your costs only go up. Fortunately, ensuring your HVAC system is running at peak performance doesn’t always require an expensive repair bill. 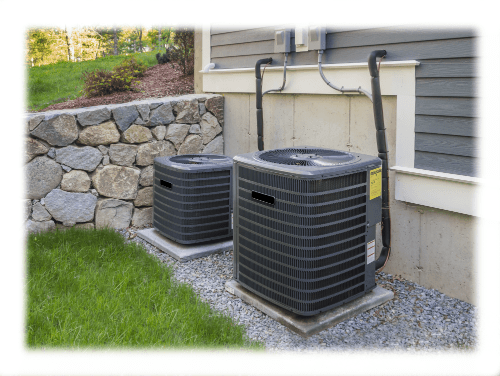 There are plenty of things you can do to make sure your HVAC system is up to the task with a little preventative maintenance. Change the furnace filter. Why is this tip number one? Simple: It’s easy to do and can have a big impact on the health of your HVAC system. A clean filter can reduce your energy usage by 15 percent according to the Alliance to Save Energy. If your filter is temporary, replace it every month on a day you’ll remember — like the first of the month. And if it’s a permanent filter, take it out and rinse it off monthly. Add a smart thermostat. Smart thermostats allow you to program the temperature settings in your home so you can set your home to be warmer during periods when you’re away and more comfortable when you're home. The system will also communicate with you and provide ways of saving even more energy and lowering your monthly bill. Follow its recommendations and you'll get new tips that can help you save even more. Schedule a tuneup. Once you’ve accomplished all the tasks above, it’s time to bring in the experts. Your local HVAC professional will be able to take a more detailed look at your system and identify problems you may have otherwise missed. Follow them around during their inspection and ask questions. You may just learn some insights that will be invaluable in your ongoing efforts to reduce your energy usage and total bill.